Day nine, book nine. Wang Wei's poetry reminds marketers that the basic human psyche has not changed all that much since eighth-century China. ‘Can I bear to leave these blue hills?" It’s day nine, and I am walking through the French Alps, my Little Black Classics tucked firmly in my rucksack. Today we go back 1,300 years to the golden age of early Chinese poetry. The vision of Savoyard simplicity that greets me from my mountain hot tub is surprisingly congruent with the pastoral charm of this High Tang verse, depicting as it does a world of mountain flowers, forgotten peach trees, and "the quietness of colours deep in pines". 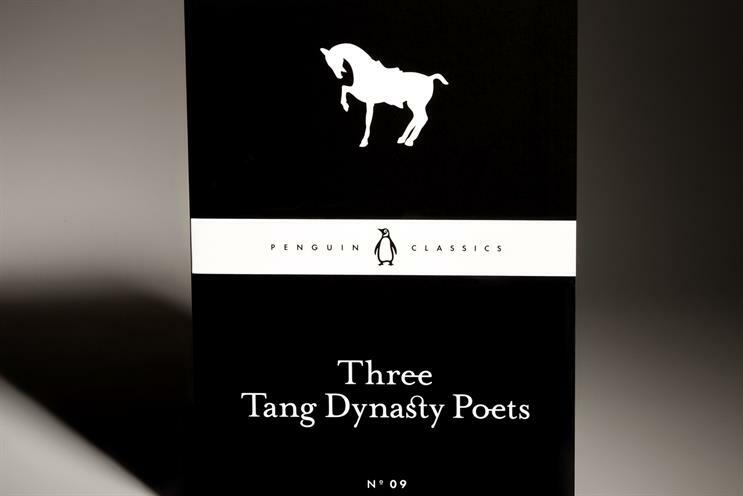 This collection, entitled Three Tang Dynasty Poets, brings together three of the finest lyric voices of eighth-century China, in an evocation of rural life that is so deftly elegiac as to feel at times anachronistic. It’s as though a more modern psyche – perhaps Keats – has been teleported to the land of the "Tiger Stream", the "Ancient Cypress" and the "Yellow Flower River" to commit to verse the end of a time of pastoral innocence. There is an argument for it being just that. Towards the end of the poets’ lives, a devastating rebellion led by a general and would-be emperor in the north of the country drew a line under this relatively peaceful and scholarly chapter in Tang history. But whatever the influences or prefigures of history, the poetry expresses, with uncanny resemblance to the modern voice, the sense of having lost something beautiful or innocent, and of life being lived as a vain quest to recollect or recreate it. In one of the collection’s defining poems, ‘The Song of the Peach Tree Spring’, we learn of a mountain paradise that there is no way back to. "When spring comes, everywhere there are peach blossom streams / No one can tell which may be the spring of paradise." Many of the poems’ titles refer to leaving, remembering, returning, good-byes, farewells, laments, journeys. The poetry describes human separations that are both literal in their inspiration (the father who must travel to work; the absent sailor husband; the sons who leave for battle) and figurative in their intention. To know, through this simple verse, the loss and longing of the people of early rural China, is to confront the fact that to lament is to be human. Whether in Ancient Greece or the European Romantic tradition - melancholic reflection on the passing of happiness is more than a literary affectation, it is an expression of the human condition. And yet marketing so rarely acknowledges it; so possessed is big business of its own ability to roll back mortal life’s vicissitudes. Brands are built for, with and by people; and in the basic workings of their psyche, people haven’t changed all that much since the days of Wang Wei.